My 3-year-old LOVES play dough. There are so many great activities you can use play dough with. One of my favorites is play dough invitation to play kits. 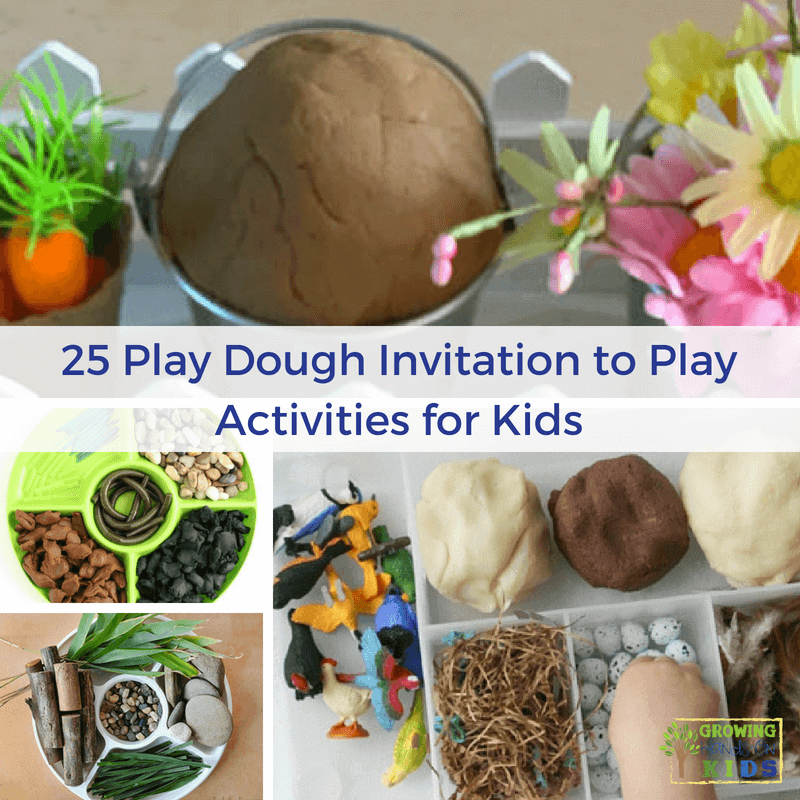 Today I've gathered 25 of my favorite play dough invitation to play activities to share with you. 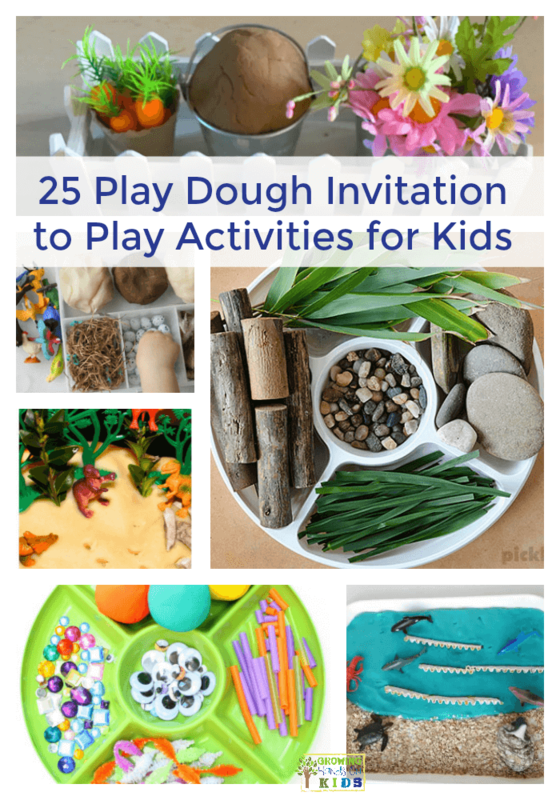 What is a Play Dough Invitation to Play Activity? If you've never heard the term “invitation to play” before you might be wondering what in the world it is. It is basically a way to encourage a child to have an open-ended play, create, and use their imagination with simple items from around your house. There is no outcome or directions to follow. They simply create, learn, and explore the way they want to with the items provided. 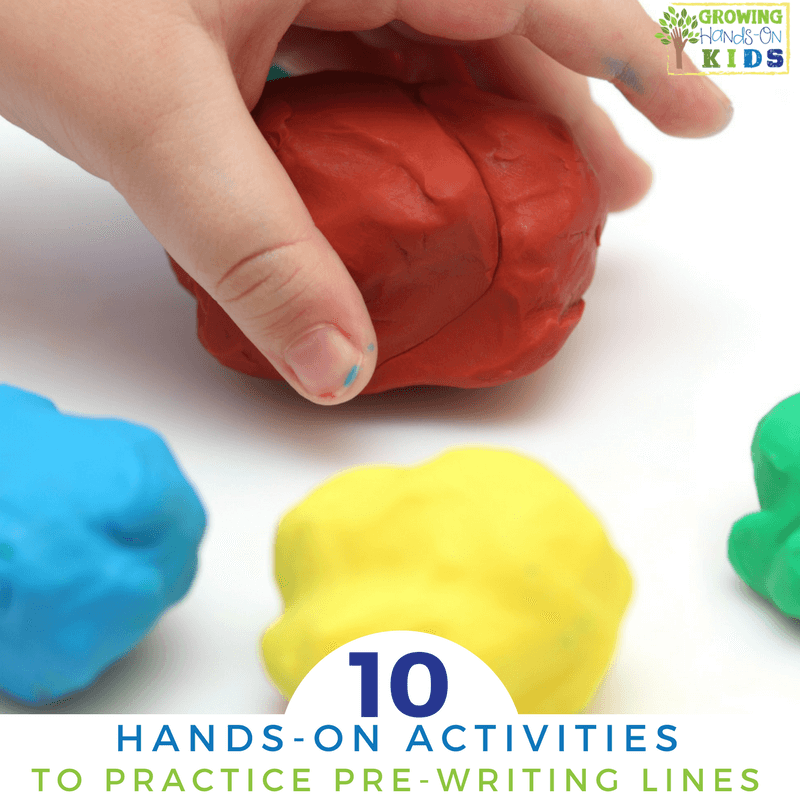 Themes are a great way to encourage some fine motor work using the child's interests. If you have a child who doesn't care for fine motor work or is delayed, setting up a play dough invitation to play theme can be a great way to encourage this. I love making my own play dough for play dough kits or invitation to play setups. It is definitely very easy and I've got two recipes that I typically use. 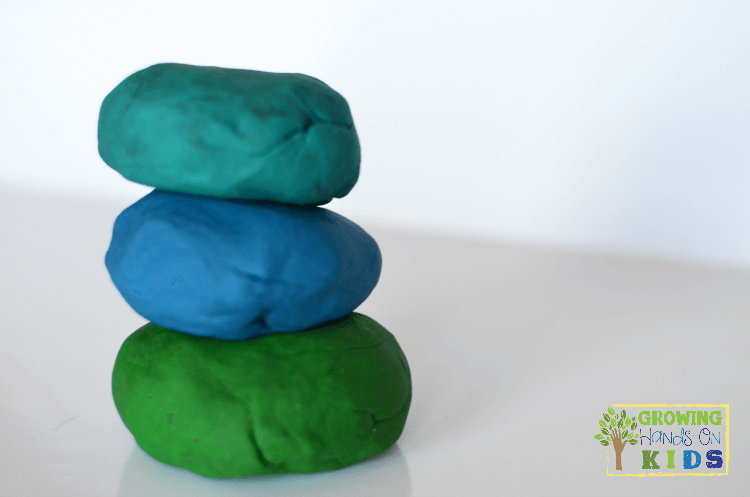 One is our calming no-cook play dough recipe. And the second is our 2 ingredient play dough recipe (this one is winter themed but you could adapt it for any type of theme). Let's move on to the play dough invitation to play ideas for your store-bought or homemade play dough. Do you need more play dough activity ideas? Check out my Pinterest board and other posts below.